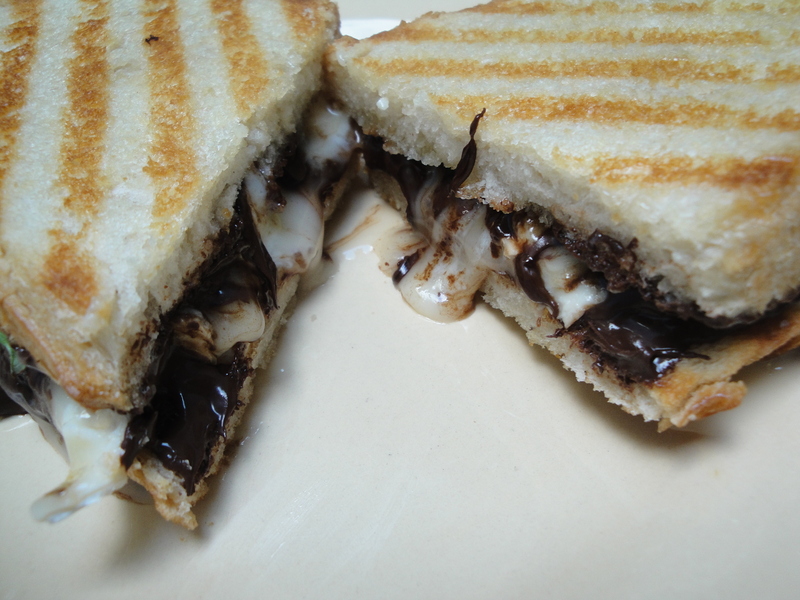 I’m a big fan of paninis but the first time I saw Giada DeLaurentiis make this sandwich on her show Everyday Italian, I thought it was an odd combination. But curiosity got the best of me so I just had to try it. 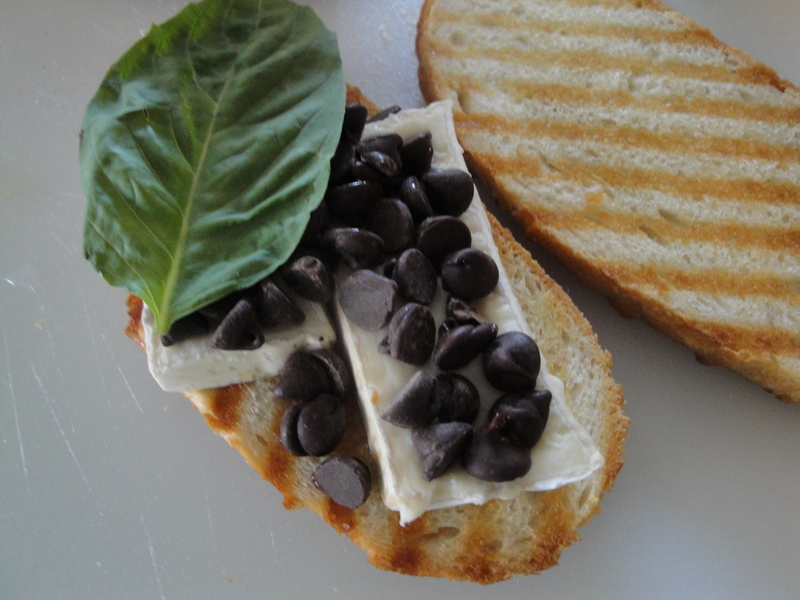 The salty, creamy brie pairs well with the semi-sweet chocolate while the basil surprisingly complements them both. And you can’t really go wrong with sourdough bread. 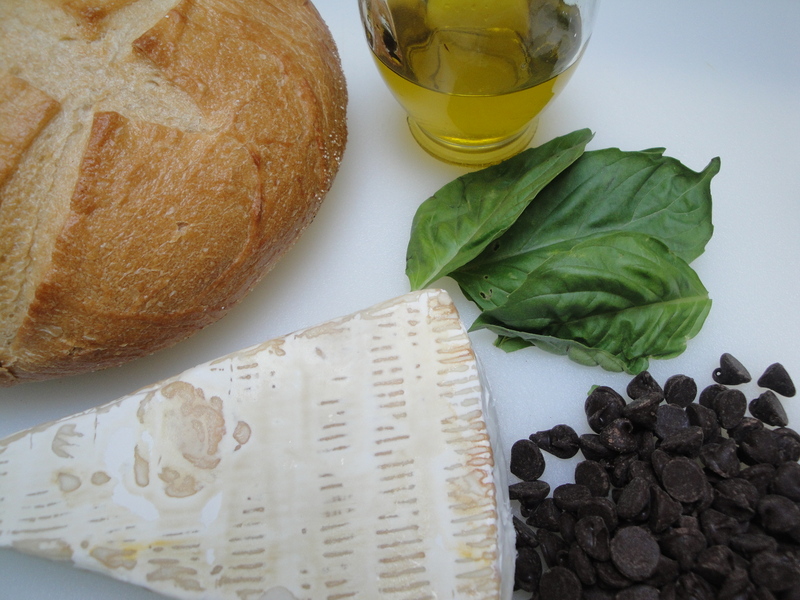 Because of its richness, it’s not something I would make for a meal again (I couldn’t even finish the whole thing!). However, I would consider it in half-portions for a dessert or a special occasion (like a chocolate party!). 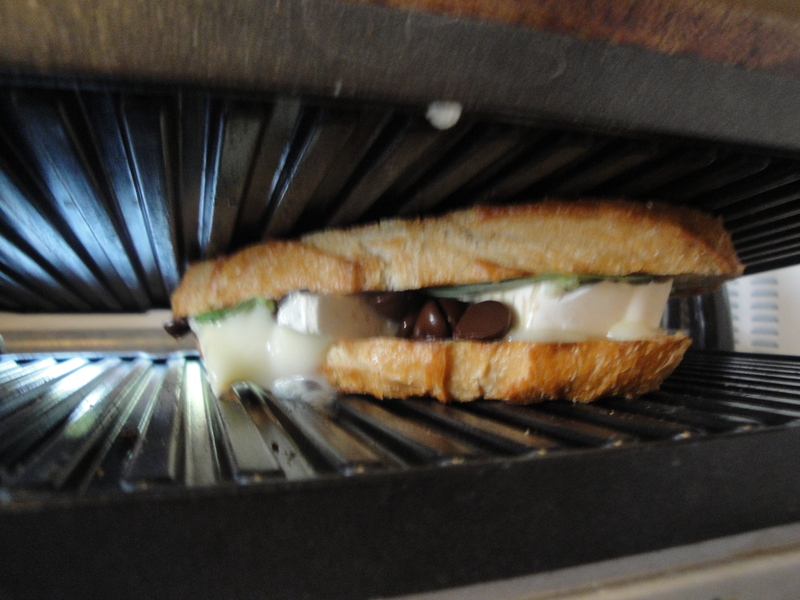 I remember Giada’s show when she made Panini with chocolate and brie! I never got around to trying it and NOW I am going to try. Thanks a million for reminding me of this one!